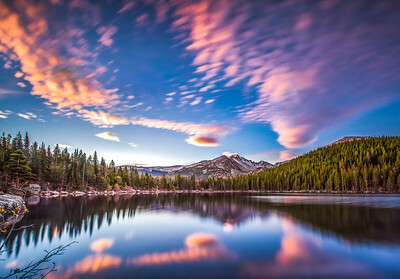 Daybreak at Bear Lake, Rocky Mountain National Park, Colorado. 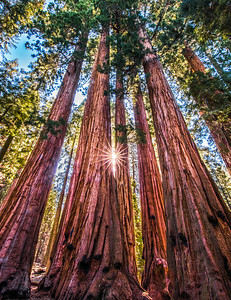 Sunrise starburst through mighty sequoia tree grove. Sequoia National Park, California. Massive orange and red sandstone formations form a backdrop on the Utah side of beautiful Lake Powell. 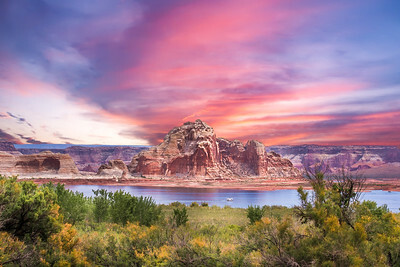 Wahweap Bay, Wahweap Resort, Glen Canyon National Recreation Area, Arizona/Utah. Sun reflected mist rainbow on Bridal Veil Falls. 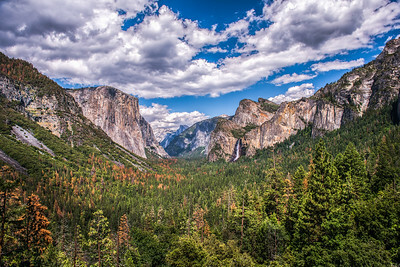 Yosemite Valley, Yosemite National Park, California. 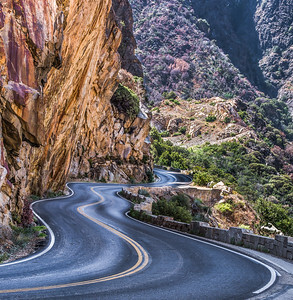 Winding road of Kings Canyon. Kings Canyon National Park, California. 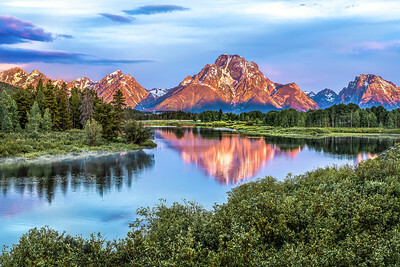 Oxbow Bend in the morning at Grand Teton National Park, Wyoming. 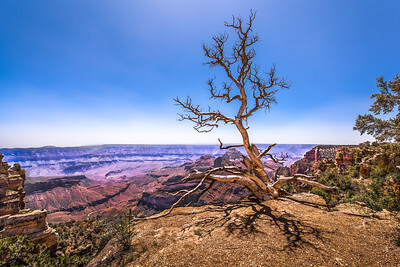 Lone tree overlooks the North Rim of the Grand Canyon. 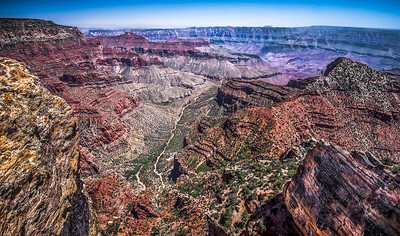 Grand Canyon National, Arizona. Morning view over the top of the North Rim of the Grand Canyon. Grand Canyon National Park, Arizona. 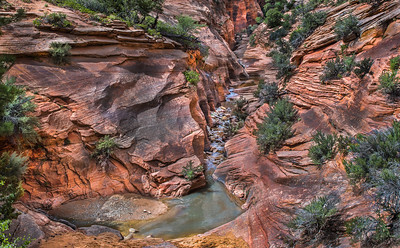 After a summer shower, water flows down a beautiful slot canyon in Zion National Park, Utah. 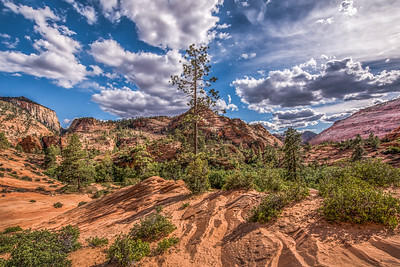 Rough and rugged sandstone landscape of Zion National Park, Utah. 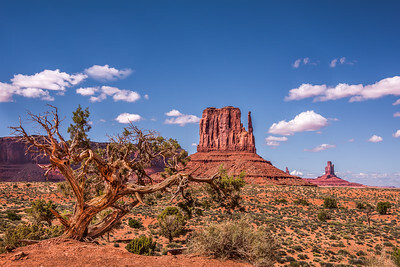 East and West Mitten Buttes, and Merrick Butte. 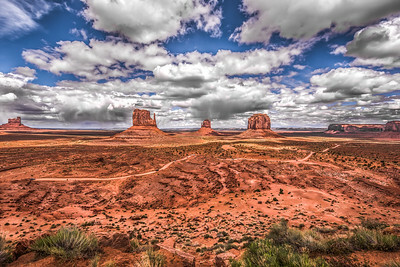 Monument Valley Navajo Tribal Park. Valley floor. 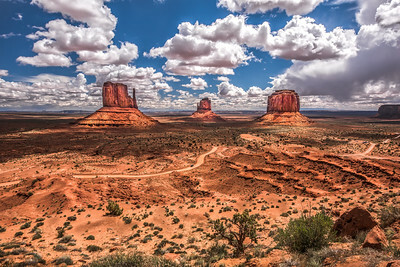 Monument Valley Navajo Tribal Park. 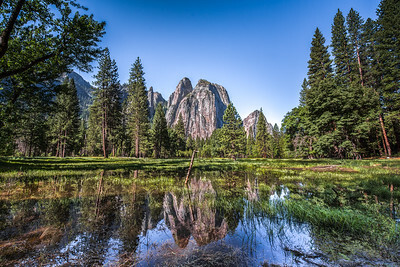 Granite peaks reflected in spring snow melt on the valley floor. 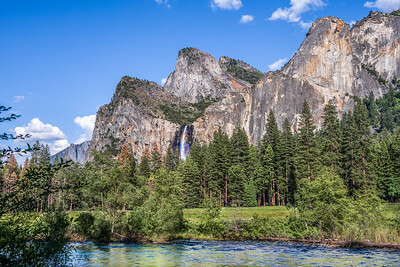 Yosemite Valley, Yosemite National Park, California. 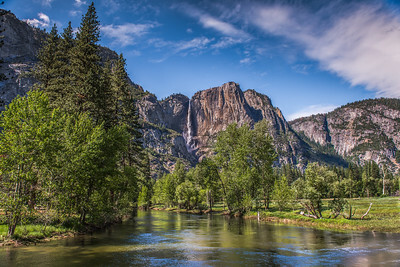 The Merced River running through Yosemite Valley with Yosemite Falls in the background. Yosemite National Park, California. "The Thomas Alma Moulton Barn"
The T. A. Moulton Barn is all that remains of the homestead built by Thomas Alma Moulton and his sons between about 1912 and 1945. 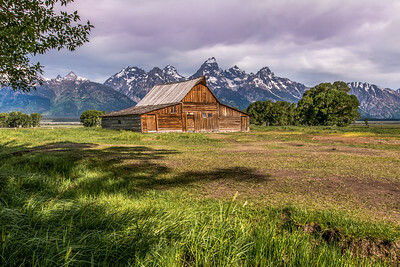 It sits west of the road known as Mormon Row, in an area called Antelope Flats, Grand Teton National Park, Wyoming. 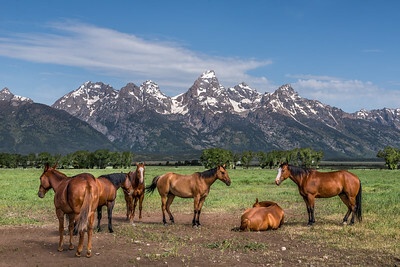 Horses on Mormon Row in Antelope Flats, Grand Teton National Park, Wyoming. 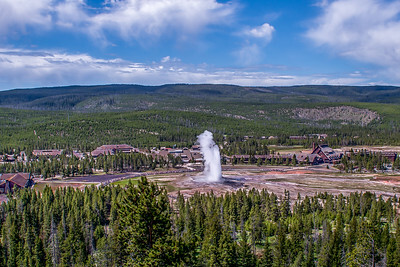 Old Faithful geyser eruption viewed from hilltop overlook. Yellowstone National Park, Wyoming. 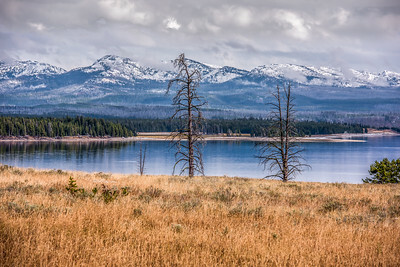 Fresh snow on the mountains behind Lake Yellowstone. 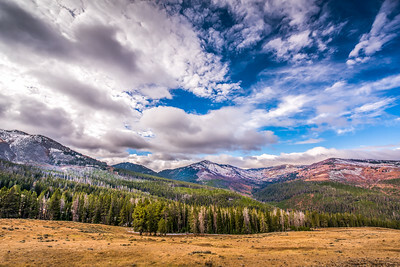 Mountain vista from Dunraven Pass in Yellowstone National Park, Wyoming. 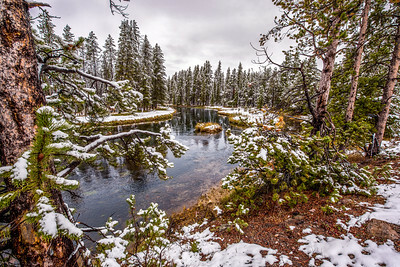 Beautiful early snowfall on the Moran River,Yellowstone National Park, Wyoming. 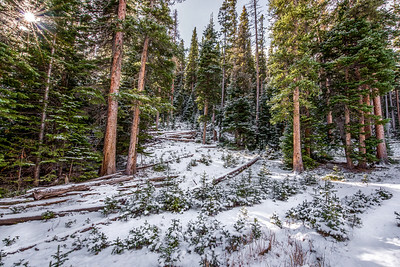 Fresh snowfall in Hidden Valley, Rocky Mountain National Park, Colorado. 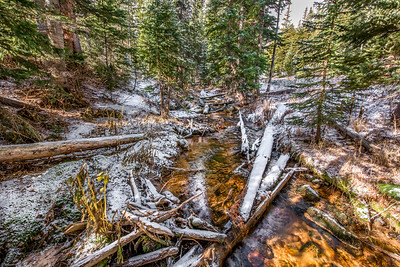 Snow frosted mountain stream in Hidden Valley, Rocky Mountain National Park, Colorado. 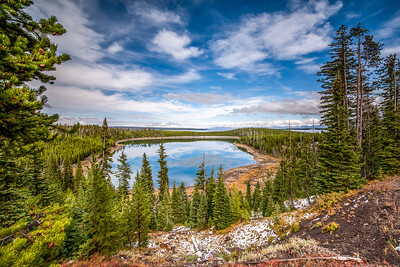 Pretty white clouds reflecting in Duck lake, framed by lodgepole pines. Lake Yellowstone and the Absaroka Mountains in the distance. 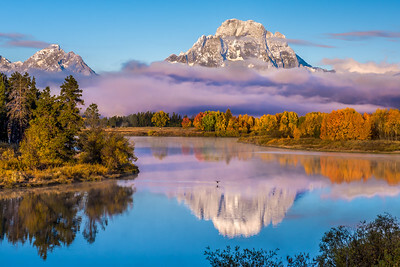 Yellowstone National Park, Wyoming.